Black cotton soils occurs mostly in the central and western parts and covers approximately 20% of the total area of India. Highway and construction of structures on Black cotton soils has been a challenge to the respective engineers and designers because of its high swelling and shrinkage characteristics. This major group of soil consists of inorganic clays of medium to high compressibility. 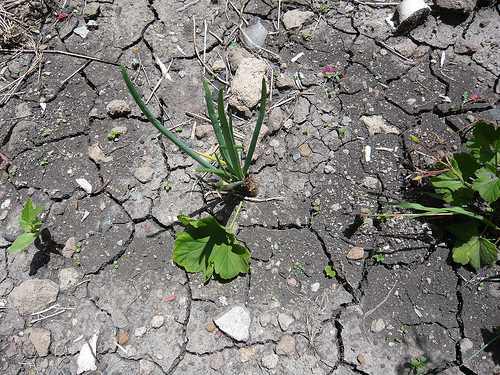 The Black cotton soils is very hard when dry, but loses its strength completely when in wet condition. Swell in the vertical direction is called heave. Among the illite, kaolinite and montmorillinite clay minerals, the montmorillinite possesses the greatest ability to swell by illite. The Kaolinite does not swell. Black cotton soils are very hard in dry state and possess high bearing capacity. In summer, it is very common to see shrinkage cracks with hexagonal columnar structure, with vertical cracks as wide as 10mm extending up to a depth of 3m or more. Soils containing expansive clays become very sticky when wet and usually are characterized by surface cracks or a “popcorn” texture when dry. Therefore, the presence of surface cracks is usually an indication of an expansive soil.